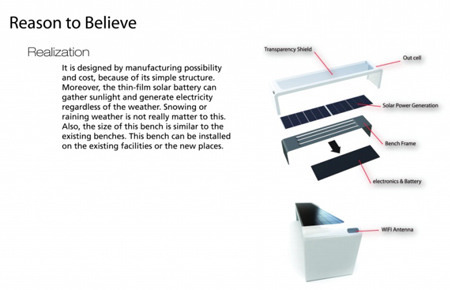 Solar Inside New Type Solar Powered Bench - Made Up Of RecycledMaterials ! We know that you have seen so many new-solar-power-boat-comes-from-tamarack-lake/">solar-based products, but still this is a new one, called Solar Inside. It is an eco-friendly and solar powered material minuteman-car-brings-smooth-and-silky-driving/">applied bench. You don’t think that this bench is only used for sitting purpose, but it has come out with more qualities for modern people. Therefore, you can apply the solar battery in an samsung-releases-another-eco-friendly-lcd-monitor/">eco-friendly approach and recycled material. 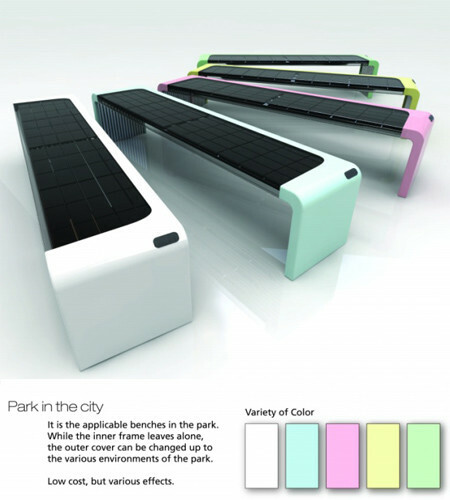 As usual, sunlight is being used to solar-power-table-gives-you-12v-for-four-hours/">charge the battery, which lets you see the concept of Ubiquitous City in a more realistic way. 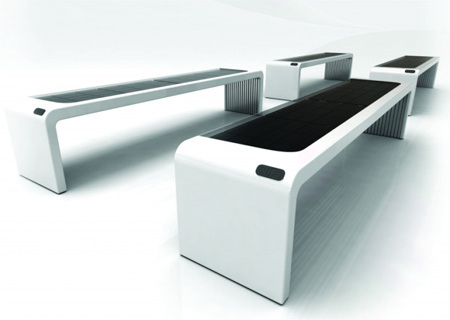 Moreover it is an effortless concept, comes with a thin film solar-power-mobile-charger-works-even-in-city-buses/">solar batteries, which has the capability to generate electricity by grabbing the sunlight.